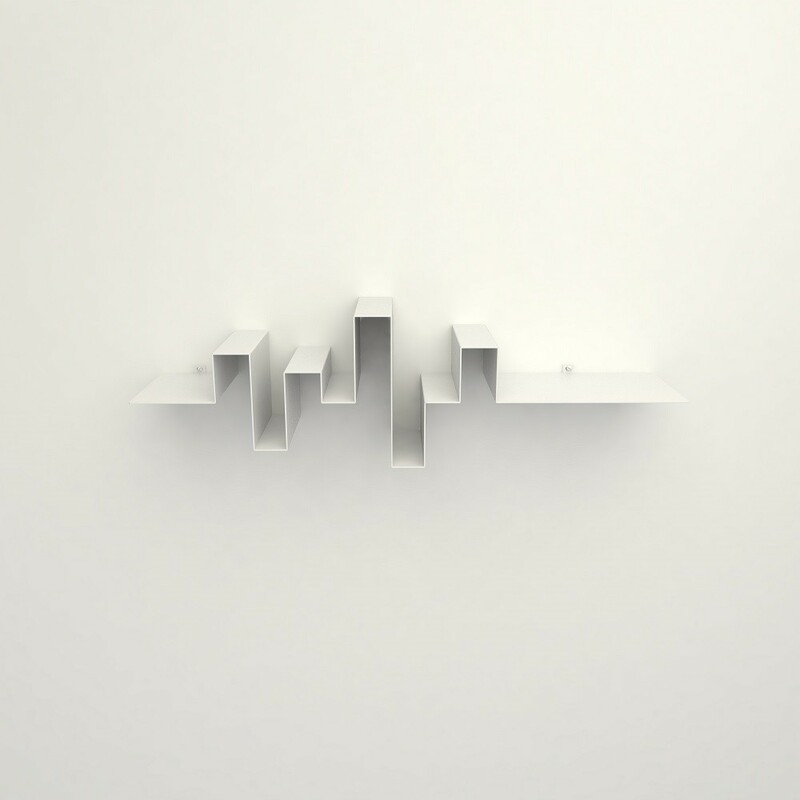 A sleek but fun wall objects. 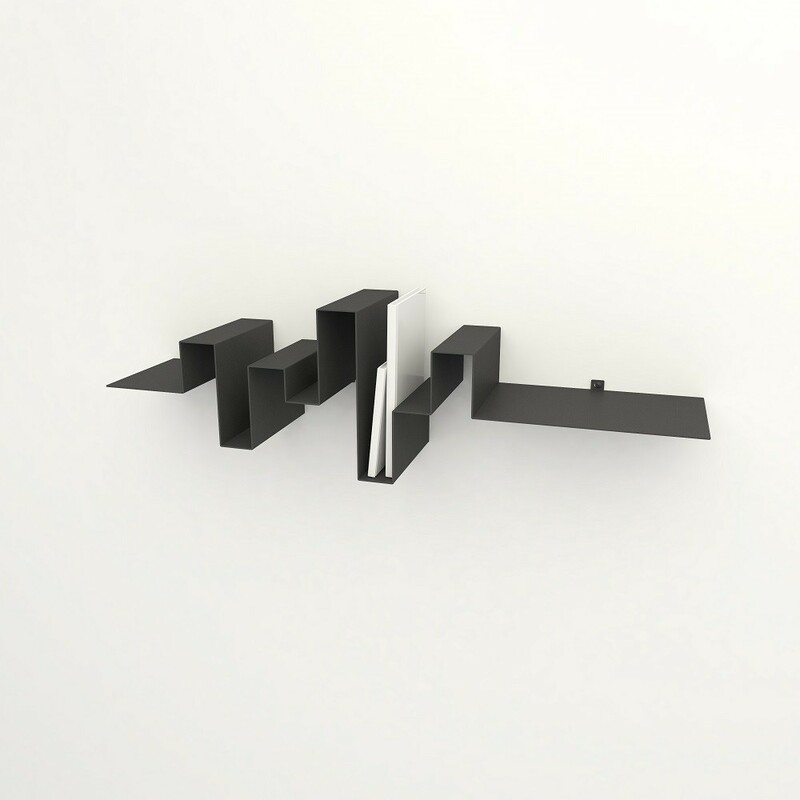 Designed as a bookcase, but usable in the living room, kitchen, or office. 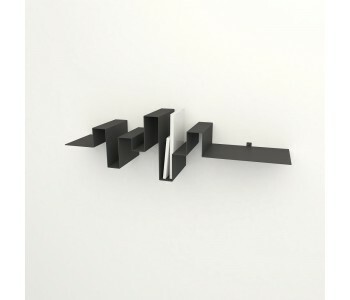 Your books and souvenirs turn into true eye-catchers with this bookcase. Made of one plate of metal and coated in white, or dark grey. 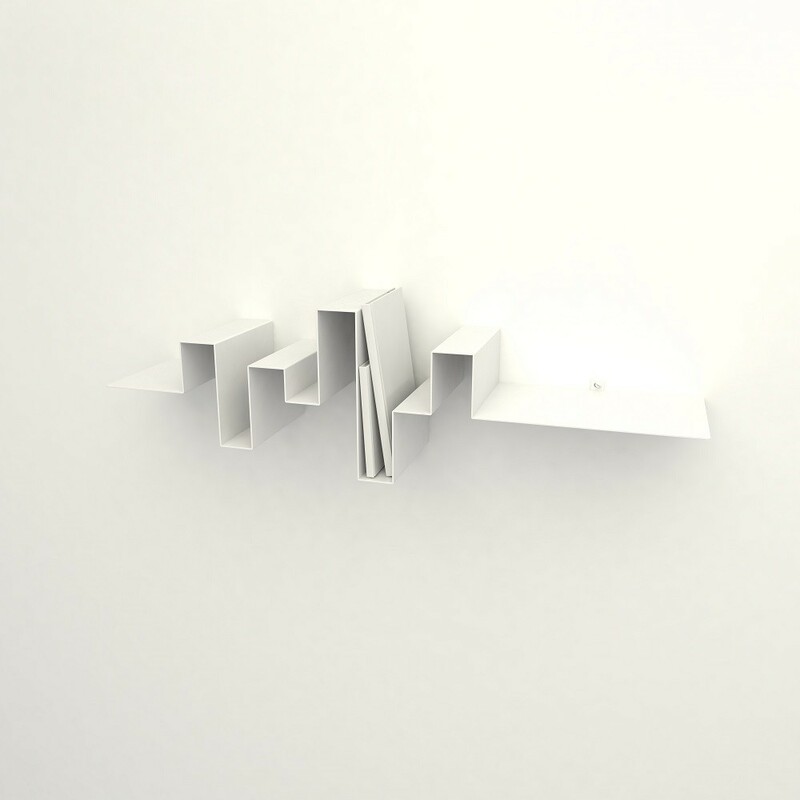 A sleek but fun wall object Designed by Frederik Rojé as a bookcase, but in reality you can use it for a lot more, such as books, souvenirs, and other decoration items in the living room, kitchen, or office. Thanks to this bookcase, you can turn your books and souvenirs into true eye-catchers. Made in the Netherlands of one plate of high end metals that is folded to the right sizes. You can choose between a white and dark grey coating. 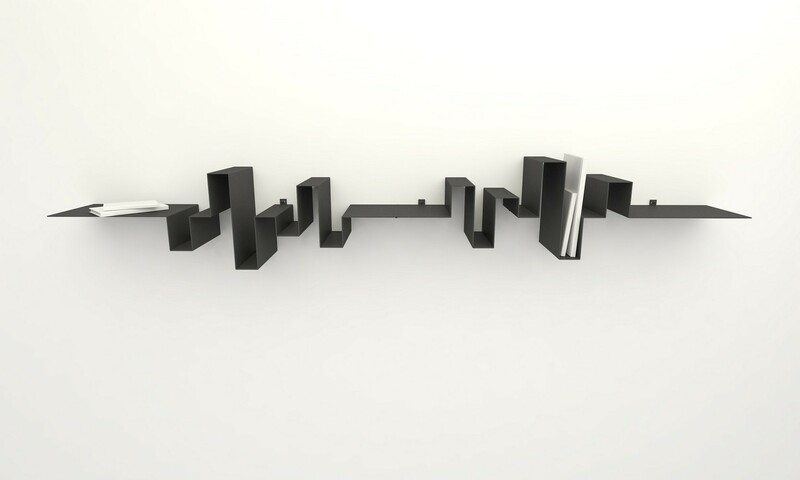 Storylines bookcases are easy to attach together thanks to the included attachment pieces.